The tune debuted at No. 3 in Singapore, No. 4 in Malaysia, No. 5 in Thailand and No. 9 in Hong Kong. It also landed in the top 10 on iTunes singles chart after its release on Aug. 5. The quartet will launch their official debut with an onstage performance on the KBS’ “Music Bank” on Aug. 8, followed by SBS music program “Inkigayo” two days later. 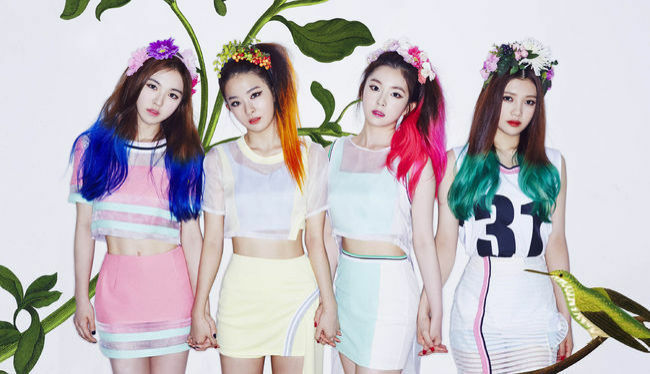 Red Velvet is SM Entertainment’s first group to debut since idol group f(x) five years ago. The new group consists of Seulgi, Irene and Wendy, all from SM’s predebut team “SM Rookies,” and Joy, who also trained under the agency.